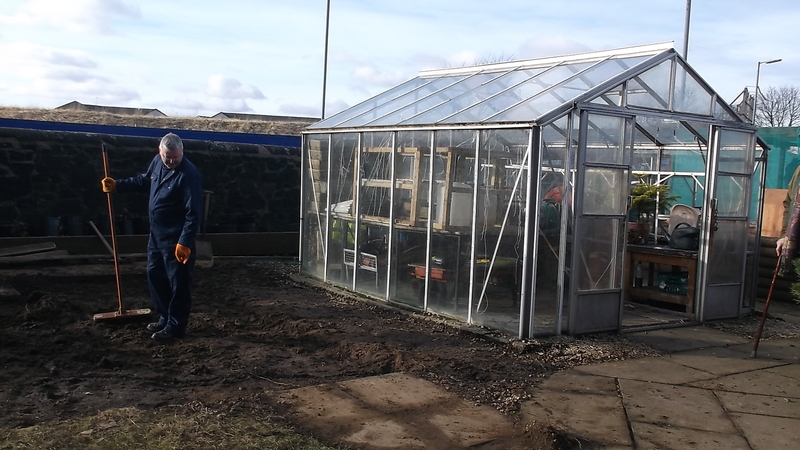 This week, the site for the new greenhouse at the Healthy Heart Garden in Paisley was being prepared. 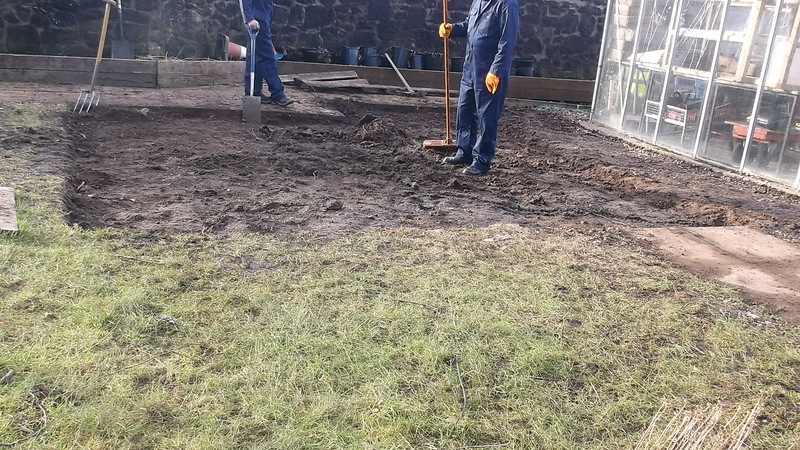 Renfrewshire Council’s Community Service Unit has been assisting volunteers with clearing and levelling the site over recent weeks. The installation of the new greenhouse is expected to be completed by the end of March 2015. Another greenhouse is located nearby and it is being repaired. This project is funded by the People’s Postcode Lottery.